Lock in a great price for Egli Boutique Hotel – rated 9.6 by recent guests! Great breakfast with lot of local food like pies , yogurt, olives, etc. I was always full. The place in Andros was good. The bed in room 1 was not very comfortable , the springs were sticking up. Welcoming reception, lovely room, great location. Perfect for our trip. We have been at Egli Boutique hotel at 24.8.18 for 3 nights. , The hotel was wonderful: the location is excellent, in the center, on the main street in Chora where all the shops and restraunts. The room is very nice, convenient and clean. The couple that run the hotel lovely and kindness. We hope to visit again. Great hotel right in the middle of Chora. The staff is super friendly. They even offered me an early breakfast on the last day since I had to leave really early that morning. Really big rooms too! We had been given the room on the last floor with an amazing view to the sea. The location is ideal for someone who doesn't have a car as it is in the heart of chora, close to cafes, restaurants and coach station. Nota that far from Chora's beaches as well! The room was large and clean! Lovely stay and beautiful rooms. Very kind hostesses. Excellent hotel in the very centre of Andros chora. The staff are really friendly, kind, ready to help in any occasion and to give you ideas and directions. It’s the cleanest room we ‘ve ever stayed in. There is also a free car park nearby. The breakfast is absolutely stunning ( homemade and of superior quality). Kostas and Margarita were excellent hosts, and the breakfast was superb. The hotel is just off the attractive pedestrianised main street and very convenient. Egli Boutique Hotel, a neoclassical mansion offering traditionally furnished rooms is centrally located on the pedestrian walkway of Andros' Chora.. Several main attractions, museums and restaurants are within walking distance. Aegli provides air-conditioned rooms with satellite LCD TVs, free Wi-Fi and elegant furnishings. Some rooms feature balconies. On site breakfast consists of fresh local products and homemade specialties .It is served in our traditionally decorated breakfast room at an extra charge. Niborio Beach is only 1,950 feet away, while Gialia and Piso Gilia are a 10-minute drive away. Free public parking is available and is a subject to availability. When would you like to stay at Egli Boutique Hotel? This classically decorated room is equipped with a flat-screen TV, laptop-size safety box, mini-bar and free toiletries. This twin room has a balcony, satellite TV and soundproofing. The traditional Hotel ''Egli'' has been offering its quality services since 1953 and is one of the first tourist accommodations on the island. 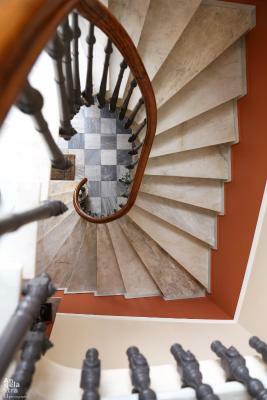 Housed in a neoclassical gem two floors building in the heart of the pedestrian zone of the noble Chora of Andros. House Rules Egli Boutique Hotel takes special requests – add in the next step! Egli Boutique Hotel accepts these cards and reserves the right to temporarily hold an amount prior to arrival. A beautiful, calm and airy townhouse in prime location for transport, restaurants and the beach. Run by a warm and helpful young couple. Delicious breakfast including traditional pies and cakes cooked the night before- the hotel smelt of baking and jasmine! Couldn't get the air con to work. There wasn't anything that I didn't like! Comfort: The bed mattresses were really hard. The room was a bit too small and the bed not so comfortable. My room was at ground floor level, facing a side street, so opening the shutters fully was not really convenient. But as I was out most of the time this did not really matter very much. The attention to detail by the management and their amenability. The beds were a bit uncomfortable, but certainly NOT a disappointment. The location was perfect. The room was super clean and ideally decorated (the balcony was a great bonus). The hosts were very friendly (they even offered us the chance of an early breakfast, out of schedule, due to our early departure). Wish we could stay longer, surely eager to revisit.